Learning about investments and different investment strategies often feels like reading Hindi when your native language is Swedish. 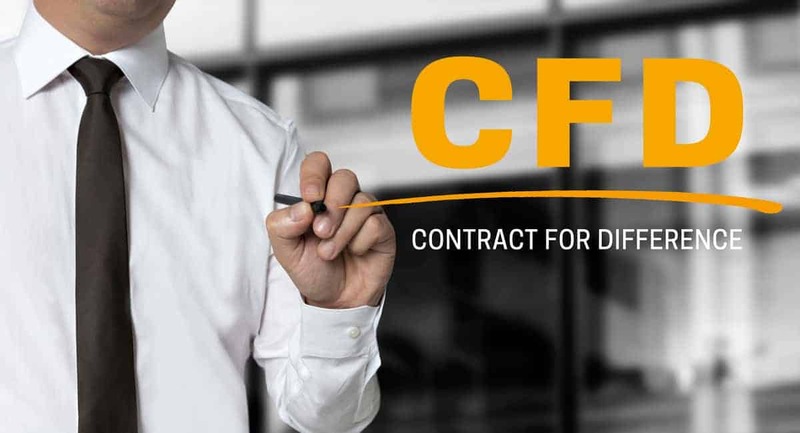 Simply, CFD stands for Contract for Difference. Hopefully, that clears some things up. No? Don’t worry, you’re not alone. There’s a great deal to know about CFDs and how to trade them. This guide should help you understand some of the basics of CFD trading and how to get started. Any new investment strategy you learn about will require research, discipline, and practice. Once you read this guide, you may be on your way to diversifying your profile. Good luck and have a go. What’s a Contract for Difference? A Contract for Difference, or CFD, offers traders the opportunity to profit from changes in value without owning the asset. The trader must make a contract with a broker. The CFD trader uses their knowledge of the market to predict whether the value of the asset will increase or decrease. CFD trading works with a variety of different assets. These include stocks, commodities, and indices. Think of it like making a bet with the stockbroker. If your prediction is correct, the seller must pay the difference between the initial buying price and the new value. If you’re wrong, you must pay the difference. Each trade is leveraged, so you don’t need a lot of capital to start out. You’ll put down a small deposit with the broker with your particular speculation about price movement. The CFD spread is the difference between the buying price and the selling price. When you trade CFDs, you need to be aware of these two prices. The selling price is known as the bid. The buying price is known as the offer. The offer will always be the greater of the two prices. When you trade CFDs, your aim is to maximize your profits off these spreads. When you place a trade, you make a bet the cost of the underlying asset will move in a particular direction. That is, the value of the asset will rise or fall. The value of the underlying asset will often be between the two price points. When the value moves beyond the cost of the spread in your favor, the trade will make you a profit. If the asset fails to do so, you’ll lose. There are several different reasons to choose CFD trading over other types of trading. When you trade CFDs you’ll face higher leverage than traditional trading. This can be either good or bad, depending on how the individual trade goes. This allows you to put less money toward a single trade than traditional trades. Higher leverage allows greater returns. However, it can also lead to greater losses. Many brokers will allow you to trade on major markets around the globe. This allows you to greater diversify your portfolio. You may have access to the markets around the clock. With CFD trading, you can trade various different types of assets. Many stockbrokers offer CFDs for stocks, indices, currency, treasury, sector, and commodities. Stockbrokers make money when traders pay the difference on a spread. Most don’t charge any commission or fees because of this. However, they still offer many of the same services as traditional stockbrokers. They often offer stops, limits, and contingent orders. A contingent order is an order to authorize simultaneous transactions. They can be useful in defining stop-loss points for a trade. Depending on the broker, you may need to pay a fee for these services. When you trade CFDs, you buy into a contract with a stockbroker. You must pay the asking price and sell at the bid price. Many different markets place certain requirements to make day trades. You must usually have a certain amount of free capital to day trade or place limits on the number of trades you can make during a period. The CFD market doesn’t place any of these restrictions. All traders can day trade if they wish. You will, however, need to make an opening deposit. This deposit can range from $1,000 to $5,000. All is not peachy in the realm of CFDs. Such is the nature of life. Trading CFDs does come with its share of drawbacks. If you’re not careful, you could fall victim to certain pitfalls. For example, you may be stuck paying the difference on spreads. This can limit your profitability on each trade you make in the CFD market. This is because the spread slightly decreases winning trades compared to the value of the underlying asset. You may see greater losses for the same reason. In addition, the market has weak regulations. Searching for a reputable stockbroker can present a bit of a challenge. Stockbroker credibility isn’t based on government standing or liquidity of assets. Instead, credibility is based on lifespan, reputation, and financial position. Experienced traders often utilize strategies in the CFD market. It can get quite complex and may not be too friendly to beginners. However, anyone can successfully trade CFDs with enough market knowledge and research. You should aim to find out more about CFD trading and how it compares to traditional trading. The CFD market can present high risks for traders. You need to be aware of all the risks before you start. If you believe CFD trading may be right for you, you can easily get started. You’ll need to find a stockbroker or platform to allow you to do so. This itself can be a challenging task. If you’re just starting out, make sure you can back up your trades with market knowledge and planning. You should never make investments larger than what you can afford to lose. Hopefully, this guide has cleared things up a bit. If you’d like to learn more about finance and living better, visit here.